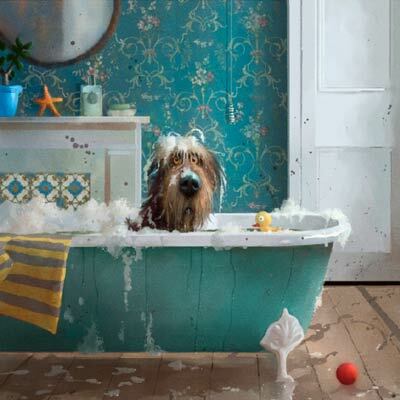 Bath Time | Signed limited edition print by Stephen Hanson to join his Toby collection. Signed and numbered by the artist. Certificate of Authenticity.